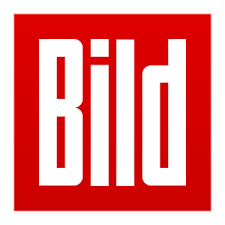 The Bild newspaper is a German tabloid published by Axel Springer AG.The paper is published from Monday to Saturday; on Sundays, its sister paper Bild am Sonntag ("Bild on Sunday") is published instead, which has a different style and its own editors. Bild is tabloid in style but broadsheet in size. It is the best-selling non-Asian newspaper and has the eight-largest circulation worldwide.